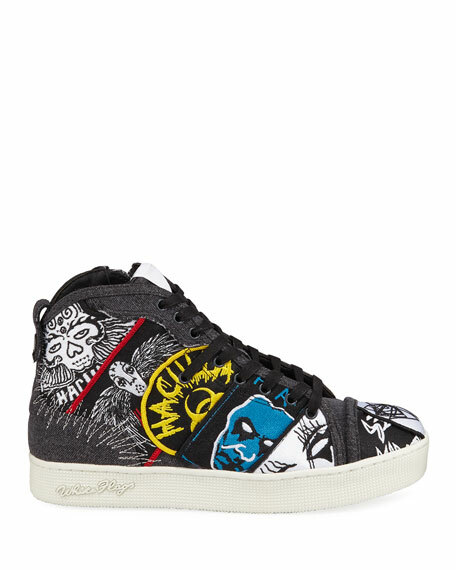 Haculla sneaker with graphic patched pattern. 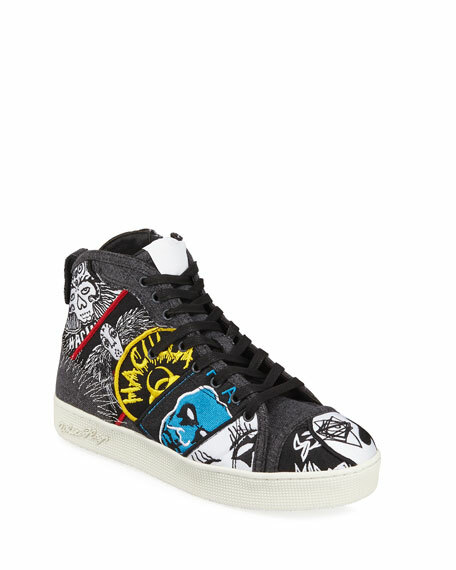 Buscemi mid-top sneaker in allover monogram print. 1" heel; shaft, approx. 4"H (100mm). Round toe. Lace-up front. Logo-embossed patch at tongue. Ankle strap with shiny golden bar. Oversized pull loop with key and padlock accent. Cushioned insole. Rubber outsole. Made in Italy. 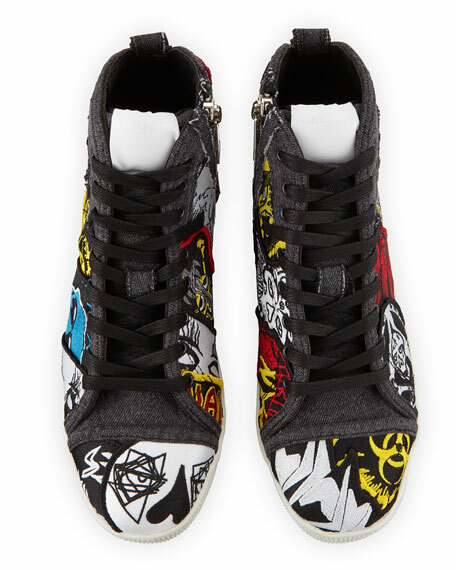 Giuseppe Zanotti mid-top sneaker in textured leather. Approx. 6"H shaft with 8" opening. Round toe. Corded lace-up front. Dual-side zip details. Tonal logo detail at tongue. Leather lining and insole. Sawtooth rubber outsole for traction. Made in Italy.